Regional funding body, Finance Yorkshire, has secured further support from the European Regional Development Fund (ERDF) and match funders. Finance Yorkshire was the first European JEREMIE (Joint European Resources for Micro to medium Enterprise) initiative to become fully invested in England. The initial £90m fund had three investment teams, Seedcorn Finance, Business Loans and Equity Linked Investments. It secured £45m from the European Investment Bank, together with £30m investment from the European Regional Development Fund (ERDF) and £15m from the Government via Yorkshire Forward. Around £28m was invested in South Yorkshire companies. In February the fund announced that it had secure funding from Round Six of the government's Regional Growth Fund (RGF) to invest in businesses across Yorkshire and the Humber. 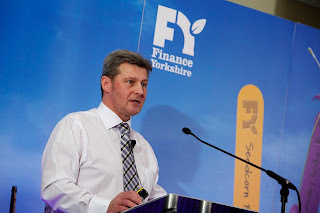 Alex McWhirter, chief executive at Finance Yorkshire (pictured), said: "Finance Yorkshire reached a milestone when it invested £90m at the end of 2014. New investment capital means that it is business as usual for Finance Yorkshire – we will continue to invest in SMEs and build on our success to date in helping to create jobs and facilitate sustainable growth across the region. "The economic impact of our investments has been significant and we look forward to receiving enquiries and continuing our work with intermediaries to highlight the investment opportunities available and the huge value our fund brings to businesses seeking access to finance." The Sheffield City Region Local Enterprise Partnership (LEP) has been keen to boost access to finance through the development of a loan and equity funding using the JEREMIE model and a Holding Fund, and has been working with other LEPs to explore a future JEREMIE initiative and integrating it with its own £50m RGF Business Growth Fund. James Newman is chairman of Finance Yorkshire and is also chairman of the Sheffield City Region LEP. He said: "Finance Yorkshire has done an outstanding job in supporting businesses to invest, grow and create jobs. Access to finance remains one of the biggest challenges for SMEs and Finance Yorkshire's commitment to continued investment is a real boost to the regional economy." To date, Finance Yorkshire has made 694 investments in SMEs across the region, creating and safeguarding 9,240 jobs and increasing overall turnover by £265m. Rotherham firms securing funding include AME Group Ltd, Xeros, Approved Food, Sterecycle, RediRack, S3-ID, Xiang Trading Ltd and Labfacility. Whilst Redirack and Sterecycle have since gone into administration, S3-ID was acquired by Singapore listed CSE Global in a £7m deal, Approved Food has expanded into larger premises in Sheffield and Xeros went on to raise millions through floating on the London Stock Exchange.